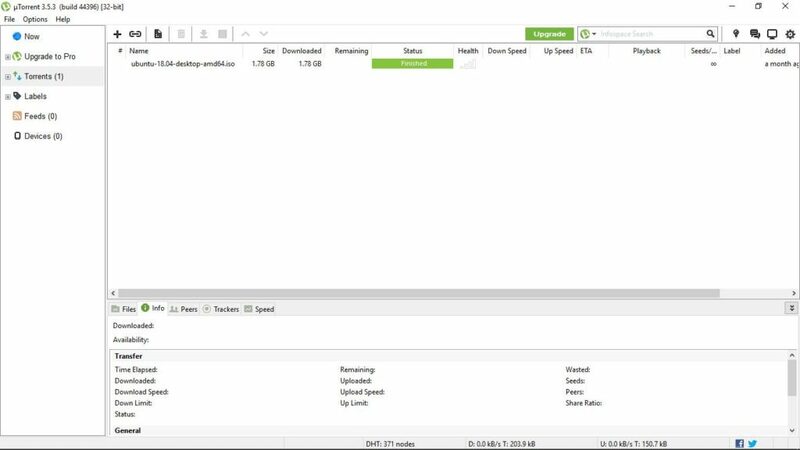 There isn’t any doubt uTorrent is the most popular tool for downloading files through a peering network. If there is a close competitor to it, then it is BitTorrent, at least on Windows. We all use uTorrent and BitTorrent to download some necessary files from the internet. But one problem with uTorrent and BitTorrent is the number of ads, which it show. There isn’t any doubt, free apps will come with ads, for earning some revenue, but offering ads at the cost of user’s satisfaction is too tough for me to accept. But that is the problem with uTorrent and BitTorrent. Due to the presence of too many ads, the user interface shrinks, which make the experience too bad. 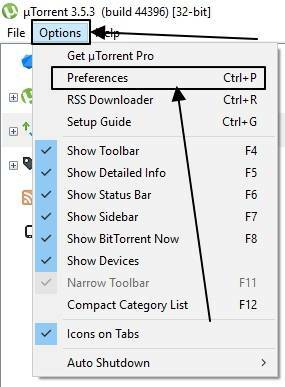 But if you want to get rid of the ads on uTorrent, you can also upgrade to uTorrent Pro, which will offer a user experience free from ads and also offer some handful of features, useful for a class of users. But who needs those extra features! 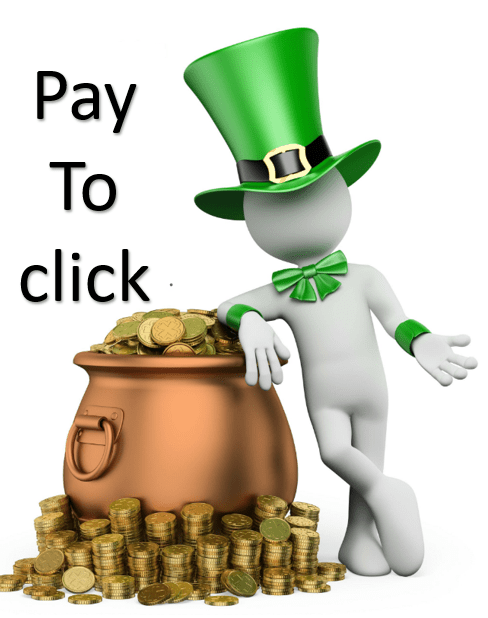 Everybody wants to get rid of ads and paying a few bucks for just getting rid of ads hardly make any sense. 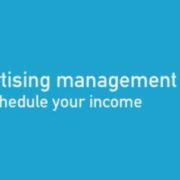 So here I will discuss the tutorial to get rid of ads on uTorrent without paying a single penny or switching to pro version. You just need to play around with some advanced settings of the apps to get rid of those annoying ads. 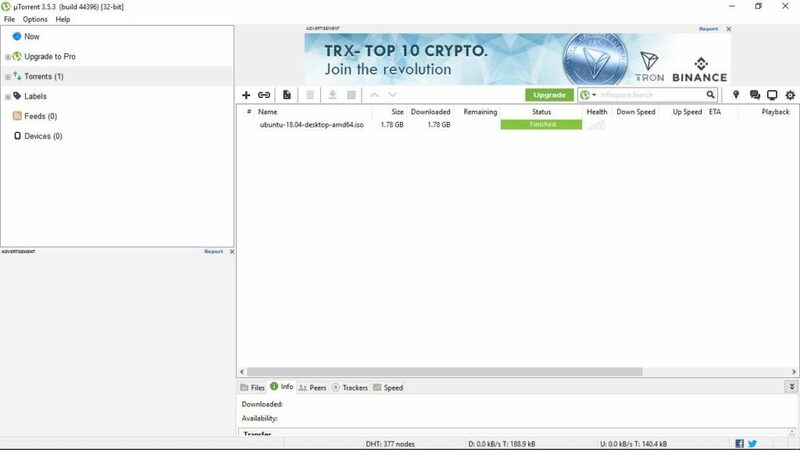 The uTorrent user interface before removing the ads looks like the one below. Pretty messed up, I know. Open uTorrent. Click on ‘Options’ in the menu bar, and click on ‘Preferences’. Now in the ‘Preferences’ window, click on ‘Advanced’. After that, you can find a text box which says ‘Filter’. Now you will have to change a few values for some entries in this section. I am just showing one example. Changing the remaining settings will be similar. 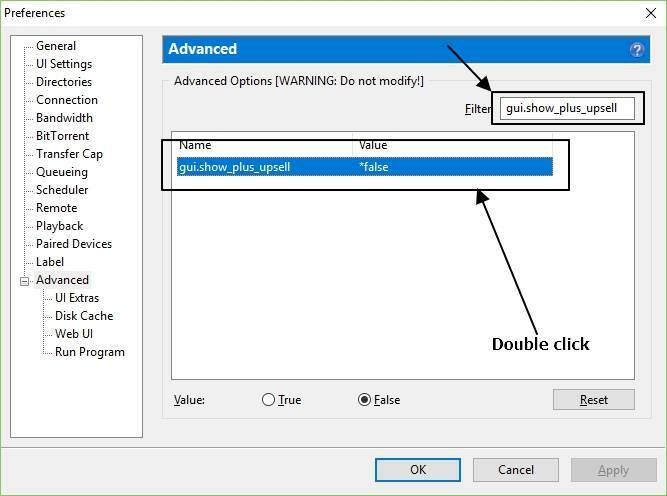 In the filter, type ‘gui.show_plus_upsell’. Now set the value to ‘False’. You can do that by double-clicking on the entry. 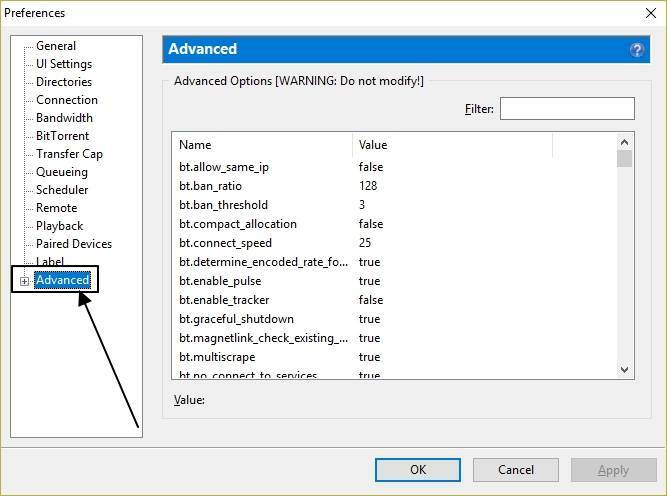 Now type the following in the ‘Filter’, and set the values of each of them to ‘False’. While trying to change the values to ‘False’, you might find some of them already set to ‘False’. Just leave them as it is for such entries. 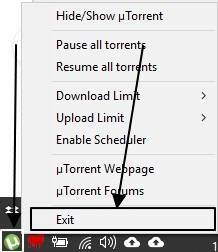 Now exit uTorrent completely, by right-clicking on the uTorrent icon in the taskbar, and clicking on ‘Exit’. Now enjoy an adless uTorrent on your computer. The user interface after removing the ads is as shown below. Are you a BitTorrent guy? No issues! The steps are exactly similar in BitTorrent, as well. 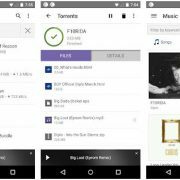 Thus, you can remove ads from BitTorrent with the simple steps, as well. Hope the tutorial on how to remove ads from uTorrent and BitTorrent was quite informative and helpful for you. Still, have issues? Feel free to comment it down below.